Not merely just a PPT to iPhone converter, Xilisoft PowerPoint to iPhone Converter can also help you make customized iPhone video presentations: rehearse and record your own commentary, add background music, set slide transition interval, and attach your own watermark; convert with all slide features reserved; or convert at maximum speed with all slide features removed. Convert any PPT to iPhone video in an instant with "Express Convert"
Rehearse presentation, record commentary, add background music, and preview the slides before turning it into an iPhone video presentation. “Express Convert” offers the quickest way to convert a PPT to iPhone video with all original slide animations and effects removed. Set the time interval between slide transitions; attach watermark to presentation such as a logo or trademark. A variety of output parameters (such as video quality, resolution, frame rate) are available to adjust to help you create the ideal iPhone video presentation. 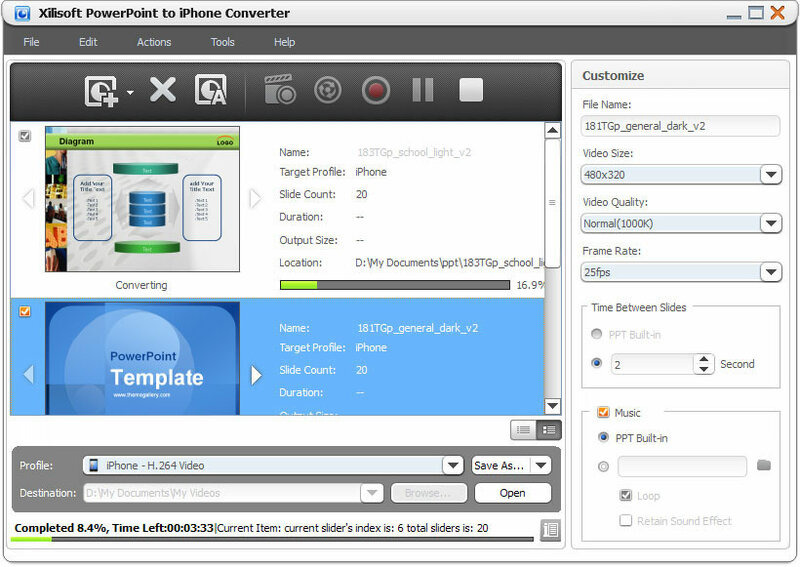 Convert several PPTs to iPhone videos at once – save time and effort. 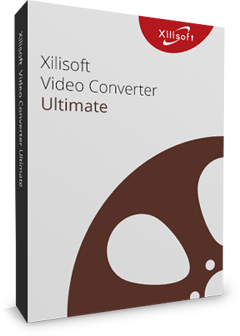 Xilisoft PowerPoint to iPhone Converter can make presentation videos from all Microsoft PowerPoint file types: ppt, pptx, pptm, ppsx, pps, ppsm, potx, potm, pot. 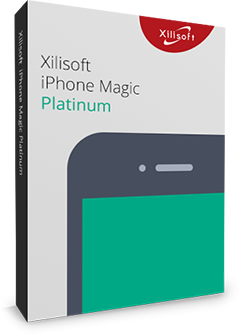 Xilisoft PowerPoint to iPhone Converter’s interface is designed with users of all levels in mind, making it easy to use for beginners and professionals alike.